"Unless fiction becomes disobedient, it will become irrelevant." 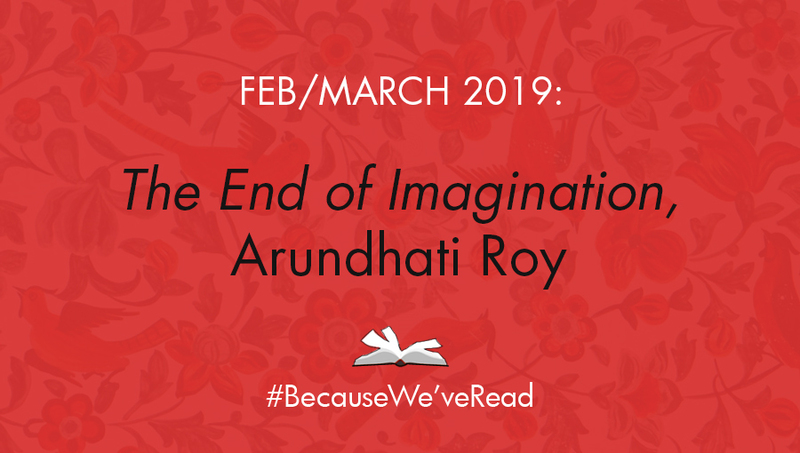 Arundhati Roy: a fiercely-articulate award-winning novelist, essayist, feared political activist, former actress and screenwriter, and both the topic of, and honored guest for, this unit of #BecauseWeveRead. Referred to in the New York Times as “India's most impassioned critic of globalization and American influence,”Arundhati Roy stands as one of the most influential writers in the world today. Her writing includes the award-winning The God of Small Things, Field Notes on Democracy: Listening to Grasshoppers, Capitalism: A Ghost Story, and The Ministry of Utmost Happiness, among other fiction and non-fiction work. But beyond her writing, her work also extends into the streets: Roy is an outspoken activist, frequently working on and discussing issues related to India's illegal military occupation of Kashmir, anti-Zionism, political repression, caste and class, and a myriad of environmental and human rights issues -- many of which are discussed in The End of Imagination. We love a principled, badass woman. Her book The End of Imagination is a collection of Roy's essays that intertwine the beauty and flow of her fiction writing with her articulate and scathing political non-fiction writing. The result is a composition that is both a deeply emotional and wildly powerful deconstruction and analysis of empire, capitalism, and power. "This new collection begins with her pathbreaking book The Cost of Living, published soon after she won the Booker Prize for her novel The God of Small Things, in which she forcefully condemned India’s nuclear tests and its construction of enormous dam projects that continue to displace countless people from their homes and communities. The End of Imagination also includes her nonfiction works Power Politics, War Talk, Public Power in the Age of Empire, and An Ordinary Person’s Guide to Empire, which include her widely circulated and inspiring writings on the U.S. invasions of Afghanistan and Iraq, the need to confront corporate power, and the hollowing out of democratic institutions globally." + The End of Imagination (2016), Arundhati Roy - Free Ebook here, graciously provided by one of our all-time favorite radical publishers, Haymarket Books (based right here in Chicago)! Thank you for all that you do to publish and support radical literature that challenges the status quo! Haymarket Books is also providing #BecauseWeveRead members 50% off a hardcopy of The End of Imagination! Grab this amazing discount here! + Subscribe to our email updates! Our beautiful, fabulous #BecauseWeveRead official chapter leads are listed below, along with their email addresses and social media to get in touch! They will be releasing the date for their meetup and additional information as the month progresses, so be sure to follow them on social media, email them letting them know you're interested in joining, and/or keep this page bookmarked as we continue to update as information arises! Can't wait to read all of your thoughts as you're reading -- be sure to tag us & hashtag #BecauseWeveRead to join the club & conversation! 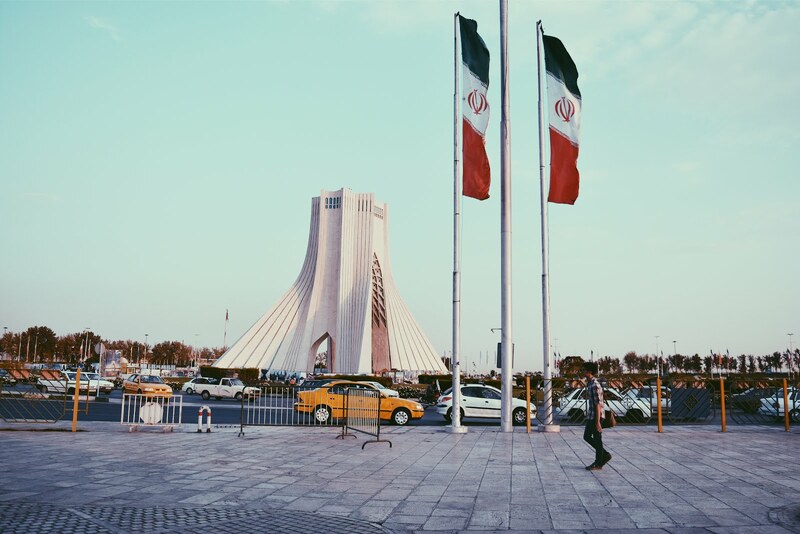 Want to sponsor this project? Help get books into more hands of communities in-need internationally? Donate to us via venmo (@hoda-katebi) or paypal -- be sure to write #BecauseWeveRead in the memo so we can be sure to allocate toward this project!